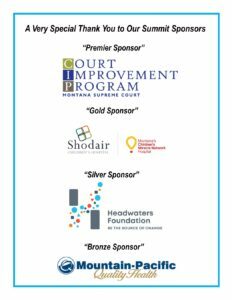 A very special Thank You to our Premier Sponsor! 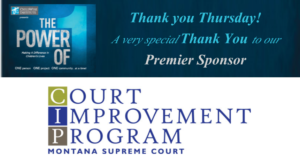 Fall Summit – Sept. 20 & 21, 2018 Thank You Thursday! Be Childwise Workbook Now Available! Across Montana children are waiting to experience a place called home. Understanding child and relationship development is the key to Intermountain’s therapeutic approach with children and families. 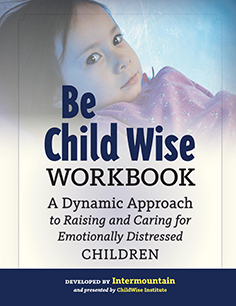 The BE CHILDWISE workbook provides parents with the opportunity to review concepts and practice skills in order to build strong, resilient families. To order your copy of the Be Childwise Workbook, click here! After a long, challenging, and exciting career working passionately to do my part to elevate the well-being and futures of children and families, it is time to open another chapter in my life. Some people might say that I’m retiring, and that’s what might be expected after this career. But I like to think of it not as retiring, but re-wiring! Yes, as of April 1st I’ve left ChildWise Institute! But what I’m really doing is re-imagining how I use my time on this planet. 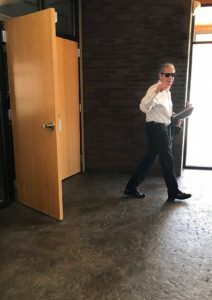 By that I mean that I will be spending a lot more time with my bride, Sue, doing the things we enjoy together – especially camping in the summer. And we’ll be spending a lot more time with our kids and grandkiddos, all of whom live in Southern California and Utah. But my work for many years has not been a “job,” it’s been my passion. When a person is deeply involved in a human cause, it’s not something one can just walk away from like a factory job. I intend to stay engaged in the cause to elevate the well-being of our children, youth, families, and communities. For years I have been active with many committees and groups across Montana and the nation, and I intend to continue that involvement. Also, when time permits, I will continue to train and present in Montana and throughout the nation as opportunities arise. But my first love and commitment is to my family. 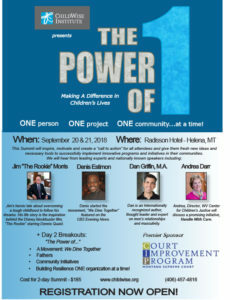 ChildWise Institute is a healthy, thriving, important organization in Montana; and its work will continue to grow in depth, breadth, and impact. 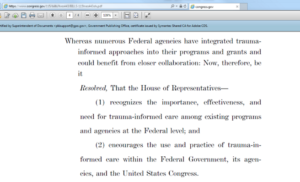 All of my colleagues at ChildWise – Cathy Huntley, Tina Eblen, and Kati Bono – are personally vested in this work, and passionately devoted to the cause. Tina is the Interim Director. Zig Ziglar was a personal friend of mine from way back. He once said, “Among the things you can give away and still keep are your word, your smile, and a grateful heart.” Please know that I am very grateful to know you, and to have worked with you. I hope that our paths will cross many times, as we are all in this together. We overcome adversity through resilience and it’s empowering to know that we can build resilience at any age! 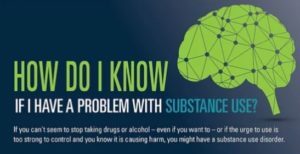 How do I know if I have a Problem with Substance Use? Sometimes a problem can appear so big, so overwhelming that we wonder if a solution is possible. 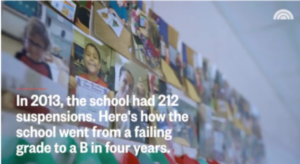 This video is a great example of how the ‘impossible’ is ‘possible’.